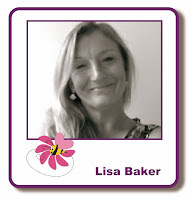 It is a scheduled post for me today as I am away on my hols taking it easy for a change! 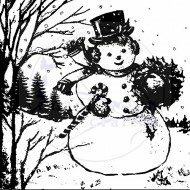 It seems a little weird that I am away in Spain in hot sunshine and just about to show you a snowman Christmas card, lol! 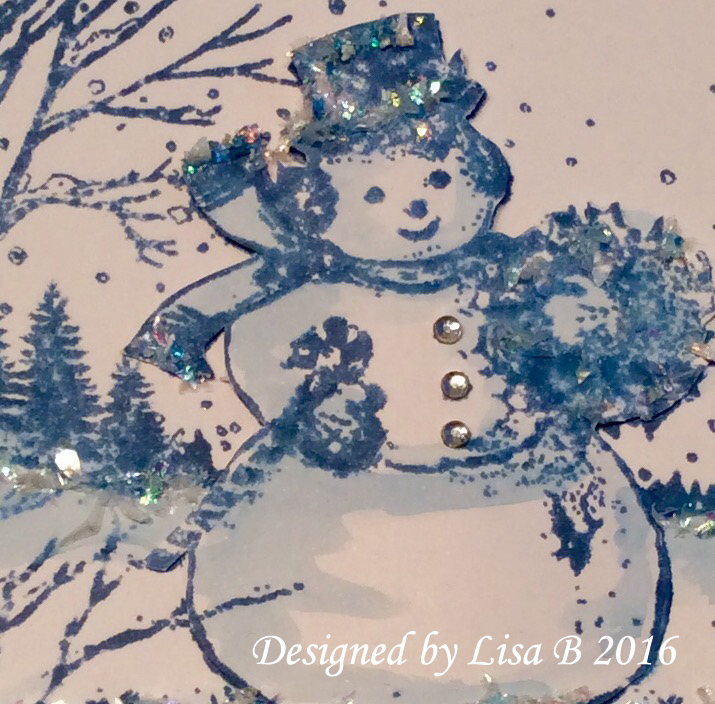 Here is a simple little card below that I made using the Imagination Crafts Snowman Art Stamp. He is a really cute little fellow and is a great stamp to use with Distress Inks for batch card making. I used Stormy Sky Distress ink and stamped him onto a 4" square of white card. I then used a damp paint brush to draw out the colour from the edge of the stamped image to add some shading. 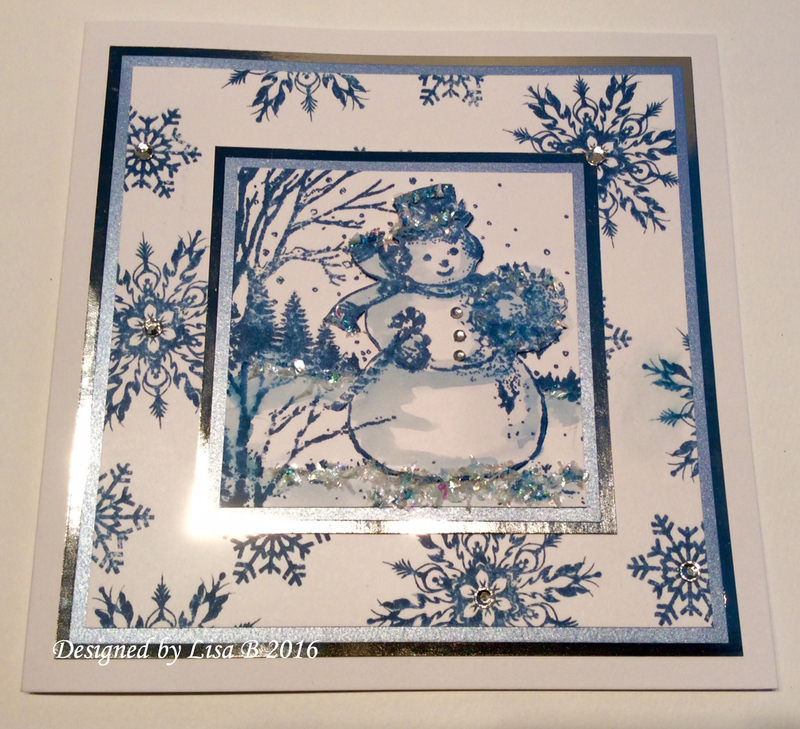 Again I stamped it with Stormy Sky Distress Ink using random sizes all over the background. Well that is all from me today my lovelies and i will be back next week with some more inspiration. 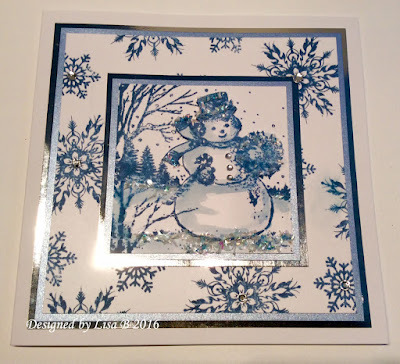 I love the blues on this card, it's really lovely.